The Canon USA Refurbished Store has the EF 500mm f/4L IS II lens in stock for $7,199 and the EF 100-400mm f/4.5-5.6L IS II lens (read my review) for $1,760. You must act FAST. They will be gone in no time. All refurbished lens and cameras come with a full one year Canon USA warranty, just like the new ones. For those who have not bought a factory refurbished lens before, read my post on this subject. The list price are $8,999 and $1,999 respectively. 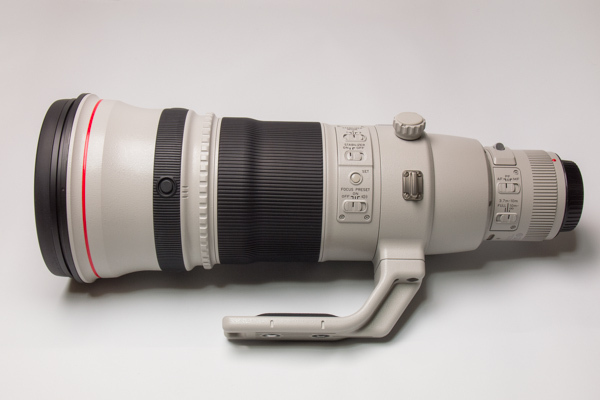 These are two of my favorite EF 'L' lens as The Wildlife Ho-tographer and you can see how the EF 500mm f/4L IS lens is manufactured in the Canon factory in Japan. For those looking for a great DSLR but like to save a little money, look no further than the EOS-1D X. The Canon Store has a refurbished model for $4,239. I have taken these lens and camera around the globe on photo shoots, from the high Arctic to the Southern Ocean. Read my lens recommendation for nature and wildlife photography.